In this section you will find the latest news regarding our products, the updates on our platforms, our events and everything regarding the world of Aruba. Aruba S.p.A’s Stefano Cecconi explains why now is the time for businesses to move away from on-prem solutions and embrace the cloud. The agreement between Aruba and the Milan Internet eXchange sees the addition of new interconnections – peering between networks – with the launch of a Point of Presence within the Global Cloud Data Center, thanks to equipment connected to Milan via two - track fiber to facilitate the exchange of traffic with many other national and international carriers. As you will be aware, the new regulation requires the use of technical and organizational measures needed to ensure the security and privacy of your data. To reduce the risks involved in processing personal data immediately, you can rely on our Cloud Backup, Disaster Recovery and Business Continuity solutions. Data encryption, encrypted transmission, IT infrastructure resilience and compliance with Codes of Conduct: these are just some of the measures established by the regulation, which you can implement with our Cloud services. you’ll be ensured the maximum security measures for data processing, ISO 27001 certified. Find out more about Aruba Cloud's GDPR Ready solutions to reduce the risks associated with processing personal data. London, 18 April 2018 – Aruba Cloud of the Aruba Group, among the leading cloud providers in Europe, will participate at Smau London 2018, the international Smau that will take place on 2nd, 3rd, 4th May 2018, starting with a networking event in the Italian Embassy and going on with panels and matchmaking moments with visitors. Aruba Cloud of the Aruba Group, among the leading cloud providers in the world, will participate at Cloud Expo Europe, the international exhibition to be held in London on 21 and 22 March 2018 (London, ExCeL Exhibition Center). With the auto top-up, you can top up your credit automatically using your preferred payment method. Auto top-up is triggered once you reach the credit limit that you set, so you no longer have to worry about running out of credit. You can activate and cancel auto top-up at any time in your customer area. For more information about activating auto top-up, please see our guide. Brussels, 30/01/2018 - CISPE, the voice of cloud infrastructure providers in Europe, has underlined its commitment to data protection in general and the European Union GDPR (General Data Protection Regulation) in particular on the eve of Data Protection Day 2018 - and with the GDPR coming into force in just 16 weeks. The objective of taking part is to present both our Global Cloud Data Center to companies which, in light of Brexit, wish to localize their data within EU borders, and also the Cloud solutions we provide through our data centers in Europe. London, UK, October 25, 2017 – Aruba S.p.A., the market leader for web hosting, email, certified email PEC and domain registration, and one of the top companies in the world in terms of data centre and cloud services, has officially opened its data centre in Poland DC- PL1. The data centre, located in Warsaw, at the highly – reliable Tier III+ Polish data centre market leader. It is the eighth Aruba Group data centre in Europe meeting the needs of the local customers, and become a foothold for further expansion into other markets in Central and Eastern Europe. A large group of cloud industry stakeholders announce the ir intent to start the Open Cloud Foundation. This initiative will work to define a meta - framework of standards that aim to guarantee freedom of business choices and avoid lock - in for Cloud businesses. The Cloud industry drives a pace of innovation and industrialization as never before in history, helping any industry to commoditize their IT services. Soon, almost any layer will be available "as a service", from infrastructure or services, to platforms, function or cognition layers. A consequence of this massive trend is that many traditional users of IT could rely on more outsourced and industrialized added value services, gaining pace and scalability capabilities. London, Wednesday 4 October 2017 – Aruba S.p.A., the market leader for web hosting, email, certified email PEC and domain registration, and one of the top companies in the world in terms of Data Center and Cloud services, announces the opening of the largest data center campus in Italy, Ponte San Pietro (Bergamo). The Global Cloud Data Centeris one of the largest Cloud hubs of Europe, due to its strategic location in the north of Italy, one hour outside of Milan. Aruba S.p.A., market leader when it comes to web hosting, email, certified email PEC and domain registration, and one of the number one companies in the world in terms of growing data center and Cloud services, announces the pre-opening of one of the largest data center campuses in Italy, in Ponte San Pietro (Bergamo). The Global Cloud Data Center was designed to meet the colocation and IT infrastructure management needs of companies to represent one of the largest Cloud hubs. Bergamo, 30 May 2017 – Aruba Cloud (www.arubacloud.com), part of the Aruba Group and one of the leading Cloud service providers in the world, will be at SMAU Berlin | Italy RestartsUp in Berlin powered by ICE and SMAU (14-16 June 2017, Berlin). The event will begin on Wednesday 14 June with a networking and drinks session at the Italian Embassy in Berlin, in the presence of institutional representatives from the regions involved, selected startups and German investors and businesses involved in the initiative. Cloud offers start ups a global presence from day one allowing them to challenge even the most well-established brands. If you have any interest in startups you cannot help but be familiar with the word ‘disruption’. Whilst disruption can happen at a local level, most aim to achieve an impact on a much larger scale: a global one. With the advent of cloud technology, startups have the ability to gain a global presence from day one, and challenge even the largest of industries. Why? Save money and time, Mobility and presence, Security, Cutting edge technology. Private Cloud: collaboration with Veeam for Cloud Bare Metal Backup. Quick, flexible and reliable recovery of virtualized applications and data thanks to the Veeam technology solution for guaranteed Availability. The new collaboration formed by Aruba Cloud for the provision of the Cloud Bare Metal Backup service makes the Private Cloud solution, used both by large companies and by SMEs and system integrators, even more efficient and secure, thanks to the full virtual machine (VM) backup service. London, 14 March 2017 – Aruba Cloud (www.arubacloud.com), part of the Aruba Group and one of the world's leading Cloud service providers, presents its new program, We START you UP, to help innovative startups to grow their business. Brussels, 14th February 2017. The Cloud Infrastructure Services Providers in Europe (CISPE), a coalition of cloud computing leaders serving millions of European customers have declared that over 30 services comply with the CISPE Data Protection Code of Conduct. Cloud infrastructure services declared today are operated in datacenters located in the following European countries: Bulgaria, Finland, France, Germany, Ireland, Italy, The Netherlands, Spain, and The United Kingdom. Aruba Cloud offers developers and devOps the best automation tools on GitHub. In the section dedicated to Aruba Cloud within the social code, developers and devOps can look at Python and Ruby SDKs for Aruba Cloud. Also on GitHub, developers, devOps and systems engineers have access to the Provider Plugin for Vagrant, so they can enjoy all the deployment and configuration options offered by Vagrant. These are just the first resources that Aruba Cloud is offering its developer customers within GitHub, more will be released soon. The involvement of users in the GitHub community is vital to the definition of new features and improvements to help developers. For those who are interested and have not yet signed up, we recommend that you sign up to the social code and get in touch with us. Aruba's Private Cloud is a flexible IaaS service that lets you create virtual Data Centers with virtual servers, firewalls and networks, based on VMware vCloud Director, and now natively integrated with the VMware NSX network virtualization system. Aruba Cloud can also offer more demanding customers dedicated Cloud infrastructures with VMware NSX. The Software Defined Network allows integration between physical and virtual environments that until now was unthinkable, thus facilitating hybrid architectures either in data centers or onsite. The CISPE, a newly formed organization founded by more than 20 cloud infrastructure providers operating in Europe with a commitment to maintaining the highest levels of data protection, announces the launch of its data protection Code of Conduct requiring cloud IaaS provider members to provide specific assurances on the protection of data stored in European data centers. The launch of the CISPE Code of Conduct was made at a round table conference held in Brussels with the attendance of industry key players, policy makers and hosted by MEP Eva Paunova, Member of the Committee on the Internal Market and Consumer Protection. Under the CISPE Code of Conduct, cloud infrastructure providers cannot data mine or profile customers’ personal data for marketing, advertising or similar activities, for their own purposes or for the resale to third parties. The Code precedes the application of the new European Union (EU) General Data Protection Regulation (GDPR). It aligns with the requirements set out in this new regulation aiming mainly at giving citizens back the control of their personal data, and simplifying the regulatory environment for international business by unifying the regulation within the EU. The new Code of Conduct has been constructed in such a way that it will be aligned with the EU General Data Protection Regulation (GDPR) when it comes into force in May 2018 and it builds on internationally recognised security standards that enhance data security processing for all cloud customers and for their users. It makes it simpler for customers to assess whether Cloud Infrastructure Services are suitable for the processing of personal data that they wish to perform, and those that are suitable are identified by a clear Trust Mark. This Trust Mark can be used by cloud infrastructure providers to show customers they are compliant, and compliant organisations will also be listed on the CISPE website. Under the CISPE Code of conduct, cloud customers will receive the assurance that providers of cloud infrastructure services do not process their personal data, for their own benefit or for the resale to third parties, such as for the mining of personal data, profiling of data subjects, marketing or similar actions. “It was a natural decision, we saw an opportunity in this Code of Conduct,” said Stefano Cecconi, Founder and CEO of Aruba Spa “for our customers this data protection standard is already in place as Italian legislation on this subject is quite similar to what has been stated in the Code of Conduct and offers the same guarantees. The great advantage starting from this decision, is that the same rules will be applied to all European countries and everyone will have the same obligations; so I welcome the CISPE Code of Conduct as this will avoid any doubts about what customers can expect from their cloud providers“. Regarding Aruba Cloud, Stefano Cecconi adds “we give our customers the possibility to choose in which Country they want their data to be processed, but we keep the data strictly within the EU, protecting confidentiality through high data protection standards”. For additional details check the Official Press Release on https://cispe.cloud. Now you can add IPv6 support to your new and existing Cloud machines. IPv6, with dual-stack configuration, coexists with the traditional IPv4 ensuring maximum compatibility and interoperability. Thanks to a larger address space, IPv6 allows you to support the connectivity of a vast range of devices, simplifying the development of various applications like the IP-Phone, interactive games and e-commerce sites. The Aruba.it Racing – Ducati team gets back on track, whereas the Aruba.it Racing - Junior Team gets set for the 1000 FIM Superstock Cup. Cloud OBJECT STORAGE at an unbeatable price! Aruba Cloud presents the New Object Storage plans, now available, besides with S3 protocol, also via FTP/S protocol. With Object Storage you can archive your files in your preferred location, with guaranteed top performances, maximum security and all the flexibility that you need: the Object Storage system stores your data in multiple copies, on different disks and on different servers and allows you to access your files quickly from any computer, tablet or mobile device, all from just €0,50/month. Now you can protect your Aruba Private Cloud infrastructure professionally, simply and safely. thanks to very easy use, guaranteed by an intuitive and safe self-service control panel, with a single button you can start the fully automatic recovery process. And at any time, you can run Disaster Recovery tests by activating the servers on the secondary site, without interfering with the production servers in any way. 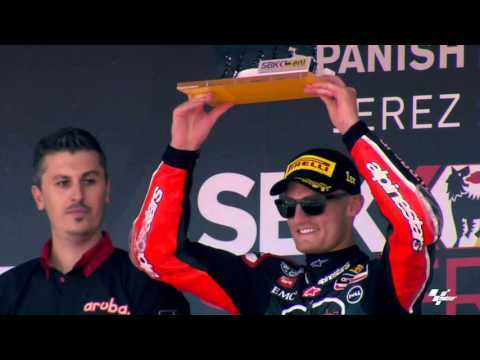 Aruba Cloud becomes the sponsor of the Aruba Racing - Ducati Superbike Team, only official Ducati team in the 2015 Superbike World Championship. The Aruba Cloud logo appears on the fairing of the bike, both at the front and the back. It's also clearly displayed on the front of the leathers of the two riders. Visit the site of the team. Aruba wins prestigious .cloud top level domain and will be the official Registry for this domain. The Italian company has been awarded this gTLD instead of six of the most well-known internet companies who also applied. Aruba will set up the Official Registry for .cloud, expanding its already strong European cloud footprint, globally. Please find additional details on our press release. Waiting for the domain go live, you can create your .cloud whishlist here. Easily plan automatic backups of all your data on your physical and virtual servers, in a secured environment. The new Cloud Backup service allows you to create and manage backups of all your most important files easily. The service is available for virtual and physical servers, hosted in Aruba's datacenters or with other providers, and works for any operating system. Thanks to the encryption system and secured data transfer, your data is always safe. Available in pay-as-you-go or with monthly plans, the Backup service is perfect to ensure that an updated copy of your most important files is always available, while maintaining costs down. Discover more about this new service in the dedicated section on our website. The network of datacenters of Aruba grows once again through the addition of our 5th datacenter in Frankfurt, Germany. Enter your control panel to manage your infrastructure in this new datacenter and create your VMs and Storage accounts to serve your customers with faster service in this area. The App, now available on iOS, Android, WindowsPhone and Blackberry, also allows you to top-up your credit directly from your smartphone using Paypal or Credit Card. All the specified features are completely free and can be applied to any platform, whatever the device you are using. Discover our new preconfigured Cloud servers, the perfect solution for developers. Create your first SSD Cloud Server and enter the Cloud world. Discover our new Cloud Computing Smart servers. They are the perfect solution to allow developers to create in an easy way their test and development environment. Available under the form of packaged resources with a monthly payment, you can chose between 4 different packages: from the Small instance with 1 CPU, 1GB of RAM and 20GB of SSD disk space for only 4,99€/month to the Extra Large instance with 4 CPU, 8GB of RAM and 160GB of SSD disk space at 49,99€/month. Discover the world of Cloud Computing thanks to our new SSD Cloud Servers and create your first virtual machine in a few minutes. For more details, please visit the Cloud Computing section. If you’re not yet a customer, we invite you to try our cloud services: request a voucher. Private Cloud is an IaaS service, which allows you to create Virtual data centers with virtual servers, firewalls and networks, expanding or reducing as your needs require. With Private Cloud maximum levels of reliability and security are guaranteed: all the infrastructure is highly reliable and resilient to failures. The entire Private Cloud structure is supported by a solid redundant networking element, all at 10gbit/sec. The hardware used to provide the service is redundant and the storage is replicated. The Private Cloud service is available in your control panel and can be contracted with your regular Cloud credits. To discover more, we invite you to visit the dedicated section on our website. Discover the new « Load Balancing » service that will allow you to create an infrastructure able to distribute the workload balancing it between two or more Cloud Servers. Management of bigger workloads : thanks to the use of load balancers you dispatch your workload onto many cloud servers. You are therefore not limited by the capacity of a single server anymore and can perform more demanding tasks. Simplified management of traffic peaks : As the traffic is dispatched onto the servers connected to the load balancer, an increase in traffic can easily be absorbed by connecting extra servers to the load balancer. The operation is performed without any downtime or effect on your service. Clear improvement of the service continuity: If one of the servers connected to the load balancer stops working, the load balancer automatically excludes it and redirects the traffic onto the other servers without any downtime for your services. The load balancing service is available in the cloud computing section of your control panel and work with the Cloud credits in your account. For more information, please visit the dedicated section on our website the dedicated section on our website. In order to enable you to receive real time alerts about the status of your infrastructure, we have created a new Cloud Monitoring service. Thanks to this service, it is possible to monitor all your websites, Cloud Servers and dedicated servers whether they are hosted in the Aruba Cloud data centers or with other providers. In cases of failures or errors detected in the monitored resource or service, Cloud Monitoring will automatically and immediately send you a notification via email or SMS. You could for example monitor the status of your POP3 service on your servers in France from our datacenters in Italy, France of Czech Republic, controlling for timeouts every 15 minutes, registering a time-out after 10 seconds and the sending of an alert after 4 timeouts. The Monitoring service is highly scalable and does not require any installation nor update for the services you wish to monitor. To discover more about this service, we invite you to visit the dedicated section on our website. Watch our videos from WHD! A few weeks ago, Aruba Cloud announced its european strategy for Cloud services at the WorldHostingDays in Germany. This gave us the opportunity to speak in front of the web hosting community and present our products and the new opportunities for web hosters and for the Cloud market in Europe. Discover the event and the experience of Aruba through the following videos! As we explained in our last post, we have had the opportunity to present our European Cloud strategy to the Hosting market at the WorldHostingDays in Germany. Our product range has been welcomed with a lot of enthusiasm and our conferences have been thoroughly followed by the crowd of experts. Your Storage and Computing on the French territory! Continuing its expansion throughout Europe, Aruba Cloud has just opened its latest Data center in France with a complete French infrasructure. Benefit from a French technical support team, a French datacenter and a French company to create your entire virtual infrastructure for the French market! Activate your Virtual Machines and Storage spaces in the datacenter right now by selecting DC4 in your control panel! Aruba will be present at the WorldHostingDays conference in Germany to officially present it's European launch in Cloud services! Tuesday 19th of March at 11:30 – Main Forum Europa-Park Dome. Thursday 21st of March at 15:00 – Sanssouci Room.